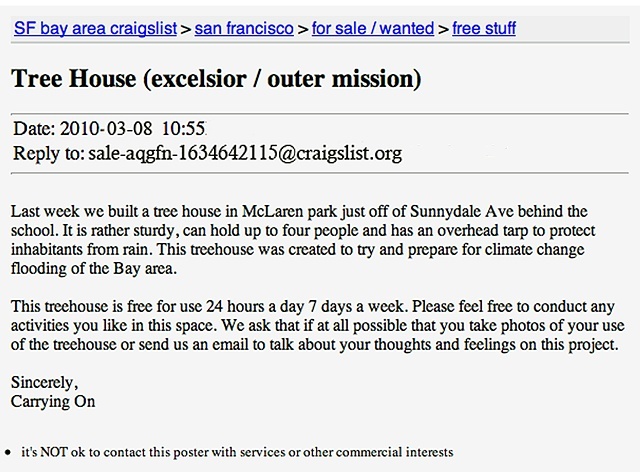 In hopes of sharing the platform with others, Carrying On posted this listing on Craigslist. Having acknowledged the potentially upsetting nature of the idea of massive flooding, the group re-branded the space as a “tree house” in order to make the project less scary and more accessible. This shift in terminology had a significant impact on the responses of the work.